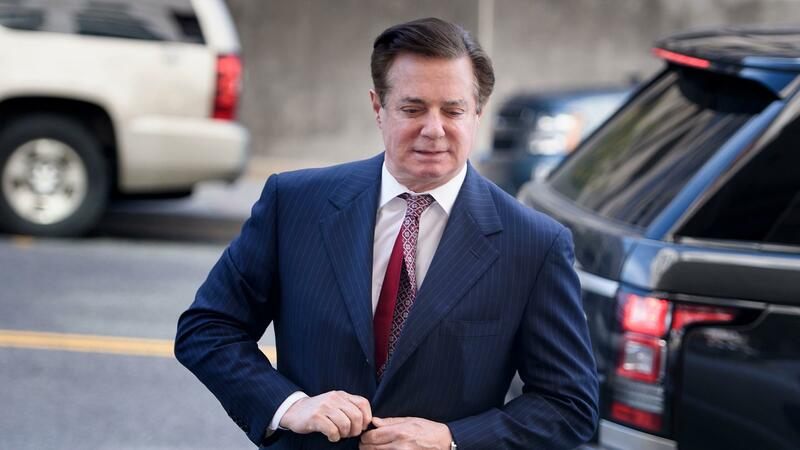 Paul Manafort arrives for a hearing at U.S. District Court on June 15 in Washington, D.C.
A latest superseding criminal information released on Friday distilled the charges against Paul Manafort down to two — conspiracy against the United States and conspiracy to obstruct justice. 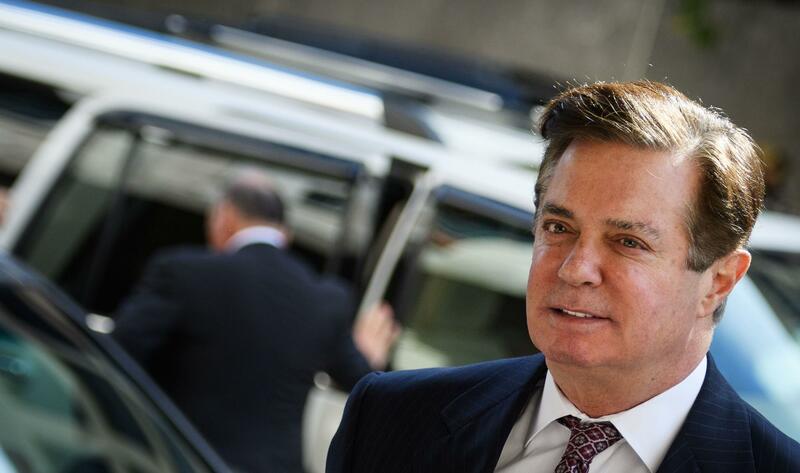 The trial would have been Manafort's second; he was convicted last month by a federal jury in Virginia on eight of 18 counts in a bank and tax fraud case related to money he earned in Ukraine. In court on Friday, Manafort blew a kiss to his wife, Kathleen, before the hearing. Manafort later stood up and told Judge Amy Berman Jackson: "I plead guilty." The judge accepted his plea and asked him about his cooperation agreement. "You are agreeing to cooperate fully and truthfully with the investigation by the office of special counsel. Do you understand that?" she asked. The cooperation agreement presents a potentially ominous development for President Trump, who has repeatedly called Mueller's probe a "witch hunt." It was not immediately clear what information Manafort might provide prosecutors. But he served as Trump's campaign chairman during the critical summer months of 2016, and he attended the now-infamous meeting at Trump Tower that June with a Russian delegation offering dirt on Hillary Clinton. Manafort's camp has long denied that he has any information to offer Mueller's team, including about possible coordination between Trump associates and Russia during the presidential race. 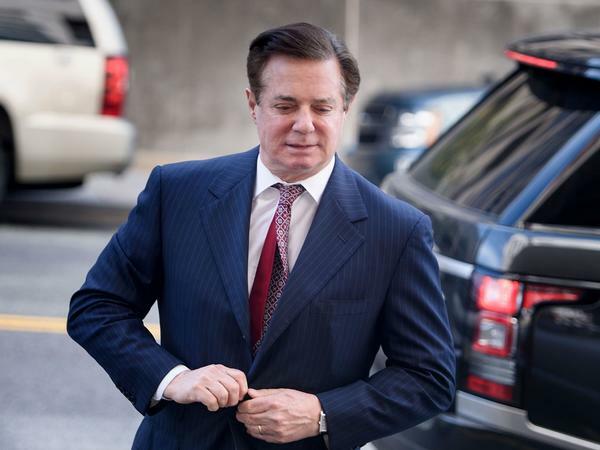 The plea agreement announced Friday covered Manafort's work as a lobbyist for former Ukrainian President Viktor Yanukovych and his pro-Russian political party. Yanukovych was toppled by a popular uprising in 2014. Manafort's lawyer, Kevin Downing, told reporters outside the courthouse that it was "a tough day for Mr. Manafort." "He wanted to make sure that his family was able to remain safe and live a good life. He's accepted responsibility and this is for conduct that dates back many years." Despite Manafort's having led the campaign, the White House has sought to distance itself from him and his case. "This had absolutely nothing to do with the president or his victorious 2016 presidential campaign," press secretary Sarah Huckabee Sanders said Friday. "It is totally unrelated." Trump's personal lawyer Rudy Giuliani echoed that idea, adding that "the president did nothing wrong." During Manafort's Virginia trial, the president spoke warmly of him. He called Manafort a "good man" and said he had been unfairly targeted by the Justice Department — sparking questions about whether Trump might pardon him. Manafort's guilty plea Friday appears to set that question aside, for now, although it does not close the door on the possibility in the future. The plea agreement, meanwhile, makes clear that the special counsel's office will maintain leverage over Manafort. Prosecutors won't dismiss the other five counts Manafort faced in Washington until his cooperation is complete or he has been sentenced, whichever comes later. The government can also file a letter later seeking leniency from the judge in Manafort's sentencing, depending on his cooperation. Ahead of the hearing, Mueller's office filed what's known as superseding criminal information. It spelled out the two counts to which Manafort has pleaded guilty: conspiracy against the United States and conspiracy to obstruct justice. Harry Sandick, a former federal prosecutor in New York, says it's uncommon for criminal information to include that level of detail. "One thing that we've seen is that the Mueller team only speaks through court filings and through court presentations — trial or oral arguments," Sandick said. "And so, they clearly want to communicate some of the evidence that they have into the public." Sandick said one reason Mueller's team might want to do so is "in part a response to criticism of the investigation." In other words: "If you don't think we're doing something important, read this," he said of the filing. Behind bars in the Alexandria, Va., detention center, Manafort's dark hair has sprouted patches of gray. During his Virginia trial, he sometimes refused to wear socks because he didn't like the look of the white jail-issued socks with his dark footwear. Manafort's legal team blamed most of his problems on former business partner Rick Gates, who pleaded guilty in February and testified against Manafort in Virginia. "I had hoped and expected my business colleague would have had the strength to continue the battle to prove our innocence," Manafort said after the Gates plea deal earlier this year. NPR correspondent Tamara Keith contributed to this report. Editor's note: An early version of this story published before all the court documents in the case were available contained a characterization from a person familiar with the case that said Manafort's cooperation would be limited. When charging documents and other materials appeared, they did not support that and the characterization was removed.